By encouraging sustainable local enterprise in developing communities, children have a better chance of growing up in healthy, safe and stable environments where their needs can be more readily met. Adanech’s is working hard to make a better world for her son Yohannes..
Adanech has never lacked ambition — just opportunity. Before ChildFund started working in her community, her family, like many others, scraped every day to make ends meet. 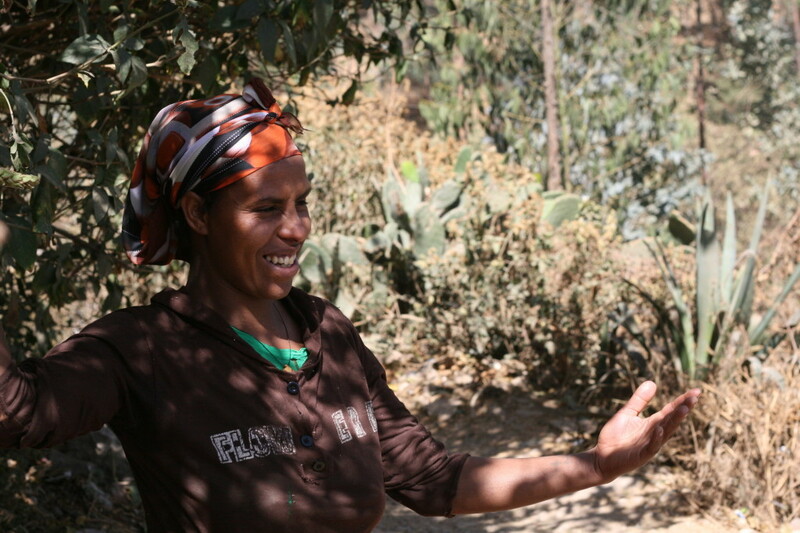 Today, the Ethiopian mother owns a business, employs five people and is looking to grow her enterprise further. “More importantly, my children are healthy and in school,” she says. Adanech first learned of ChildFund’s Yekokeb Berhan program a little over a year ago and signed up for training in business development and micro-enterprise. “Before, we had no money,” she says. “It was a real struggle to make just enough money to live. I had a small weaving business, and I wanted to learn how to make a success of it.” She became involved in a savings group and was able to access a small loan on favourable terms. The Yekokeb Berhan program has worked in Ethiopia since May 2011 to put in place a child-focused social welfare network that allows all children, including the most vulnerable, to thrive. Focusing on HIV-affected communities, Yekokeb Berhan aims to reach 500,000 highly vulnerable children throughout the country and is a collaboration involving ChildFund and other, local partner organizations. Adanech took out a loan of 10,000 Birr (USD $500) to get started and has not looked back since. Now, after household expenses such as rent and food, staff wages and loan repayments, Adanech and her husband, Meteke, still have 3,000 Birr (USD $150) at the end of the month that they can save or invest in the business. Adanech’s community of Zenebework is one of the poorest in Addis Ababa. Most residents are migrants from poor rural areas, attracted to Ethiopia’s rapidly growing capital city by better job prospects. The city dump is nearby, families scavenge for food and anything they can resell. The HIV infection rate is among the highest in the country, and a high proportion of children grow up in broken homes. At 28, Adanech is full of ambition. “I am looking to hire five more employees and buy a singeing machine to make more elaborate patterns on my fabrics, which I would then sell at a higher profit. 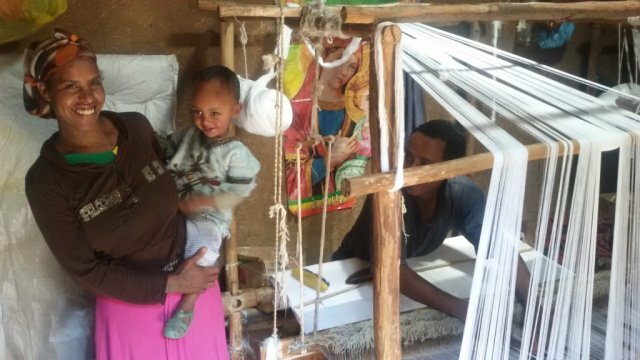 The machine costs 10,500 Birr [USD $510], which is a lot.” For now, she sells her textiles at the local market, but she aspires to sell to merchants at Merkato, Africa’s largest open-air market, and in Bole, an up-scale area in Addis Ababa.